At the heart of the LICUOS solution is a unique and proprietary technology that enables a fast, efficient and highly secure processing of transactions to deliver the best financial optimization and user experience. 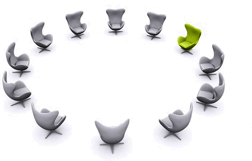 LICUOS allows your business to improve the relationship and collaboration with your business partners. Our innovative and efficient supply chain management tool allows businesses like yours to easily communicate and negotiate with your clients and suppliers at any point in time. LICUOS improves efficiency and effectiveness in the supply chain. 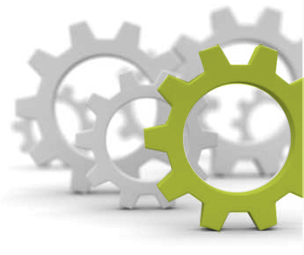 Enabling a more efficient working capital and cash flow management. Reducing your funding and operating costs. Achieving a significant reduction in your funding needs. Reducing credit risk exposure with your clients. Providing access to an additional non-banking funding channel. LICUOS is the new and collaborative way to do financial transactions. Our secure and innovative electronic payment method introduces multilateral netting and allows businesses to compensate, pay and finance their Accounts Payable and Receivables optimizing their working capital and cash flow management. Whether you are a large global firm, a small business, or somewhere in between, including public administration and nonprofit, LICUOS performs end-to-end processing, netting and settlement instantly and securely. LICUOS gives you full control and visibility into the payment process and allows you to easily communicate and negotiate with your business partners at any point in time. By applying our solutions, you will achieve an important reduction in your client's credit risk exposure and funding needs and costs. LICUOS Business is a B2B payment and netting platform where businesses can compensate and settle their commercial debts. The platform provides netting, payment and funding services for accounts receivable and payable for businesses. LICUOS Business was designed to fit into the existing workflows and give businesses full control and visibility into the payment process. There is no software to download, and it works via API with any web browser, online portal, or directly through the ERP or Accounting system. By applying our solution, businesses will achieve an important reduction in their funding needs and credit risk exposure. LICUOS Businesses gives firms full control and visibility into their payment process and allows them to easily communicate and negotiate with their business partners at any point in time. We handle netting, so you can focus on your customer. LICUOS HUB's focus is providing services to other business systems and platforms through its API. 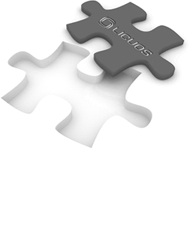 Our netting hub is designed to allow our partners to easily integrate LICUOS solution into their platform. LICUOS HUB supports a frictionless user-experience for both buyers and suppliers on your platform. We keep your customer on your website. We would be happy to explain in more detail the benefits of LICUOS HUB for your business platform and your clients. LICUOS SCF is a new, disruptive and comprehensive solution to address all the inefficiencies currently present in the financial supply chain. Our solution makes your supply chain work for you revolutionizing tools like Dynamic Discounting and Supply Chain Finance. The LICUOS SCF solution allows companies to optimize their working capital all along their supply chain. We would be happy to explain in more detail the benefits of LICUOS SCF for you and work on a customized business case for you. LICUOS solutions are driven by a unique proprietary technology that enables a fast, efficient and highly secured processing of a huge number of accounts payable and receivable transactions, 24/7 and in real-time, to deliver the best financial optimization and user experience. Our algorithms automatically identify and generate the most convenient and efficient netting, payment and funding proposals and manage all of the associated transactions that allow business to significantly reduce or eliminate their commercial debt. LICUOS technology is hosted SaaS, a Cloud-Based System and SAS 70 and ISO 20022 compliant. Industry-leading, bank-grade security monitors your money transfers and keeps your company information safe. We encrypt all communications as well as all your information based on a 'zero-knowledge' system. External and internal audits are performed daily. We have forged close collaborative deployment partnerships with market-leading integration expert firms. The LICUOS team is made up of experienced professionals from diverse backgrounds and experiences who are striving for growth, excellence and success in their professional lives. Our team is committed to helping businesses moving away from dependence on the traditional banking system services. LICUOS is backed by a fantastic team of smart investors who believe that there is a dire need for disruptive innovation in financial services. Some other business ventures in which our core investors are involved include: CHOICE Financial Solutions, Tradeslide, Fintonic, SUMMA Investment Solutions, Scientifica International, etc. LICUOS is seeking capital to accelerate growth and internationalization of our company; along with expansion of its marketing, sales, and distribution capabilities.